Gather your friends, buddy up, make a team, bring the baby in the stroller, bring the grandparents, bring the whole family! Come out for a run or a walk and enjoy a great fun day with us! WHO: Open to All! Kids, adults, friends, teachers, staff, and families! WHAT: Let’s run or walk together! Lots of fun and fitness, too! WHY RUN? Promote a healthy lifestyle for you and your family & help support our school! WHEN: Official start time is 9:15 AM but you’re welcome to participate any time before 12PM. REGISTRATION: $20 p/p. (Children under age of 3 are free). 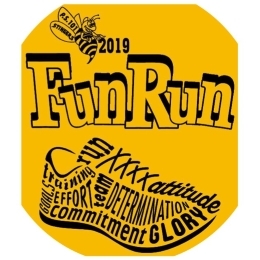 Price includes entrance to event, t-shirt commemorating the event, and unlimited activities including an inflatable obstacle course, bouncy house, soccer, and lots of other outdoor activities. Register BEFORE 4/29 to guarantee race-day t-shirt! We cannot guarantee t-shirt after April 29th. Please note: At least one chaperone is required for a child/or multiple children. 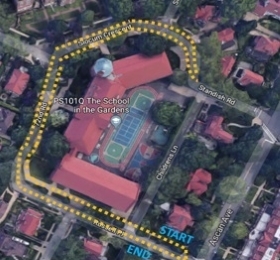 WHERE: Start at Russell Place, loop around Slocum Crescent and back to Russell Place. These streets will be closed off for your safety.